I’ve been walking through some significant pain this week – the kind of pain that just makes you want to up and quit altogether! My legs ache with extra fluid, keeping me awake at night. The pain started when I tried to push a little too hard with my workout routine. Instead of my typical brisk walking, I thought I would jog in intervals, just for a few minutes at a time. I want to reach that goal-line so badly on this weight-loss journey, and picking up the pace seemed like a good idea at the time. Even though my knees didn’t hurt at all while I was walk/jogging, the pain the next day made me unable to even walk up steps with my left knee at all. Ever since, I’ve been walking through the pain but the injury has certainly slowed me down. Now I have to walk longer just to reach my Fitbit step goal, let alone get in extra mileage. I thought I was strong enough, but I became impatient and pushed a little too hard to reach my goals. I ran ahead in the journey, so to speak. 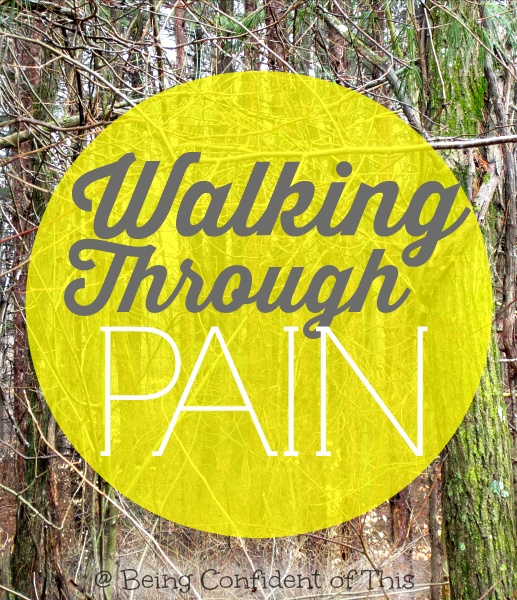 We often walk through pain in life, not just physical pain, but emotional and spiritual pain, also. In fact, the Word tells us to expect it! Yes, that’s often how it feels at first, isn’t it – a strange thing? We’re walking down the path of life and suddenly an insurmountable obstacle stands in our way! So we buy into the lie. We hide our heads in the sand; we put on our rose colored glasses and call sin and self-reliance “okay.” We convince ourselves that we’re okay, they’re okay, it’s okay – whatever the situation might be. But often the fix isn’t quick. Often the lesson drags out and pain is prolonged. Sometimes the best way forward is to take a step back, to slow down long enough to build some real spiritual muscle. When we deceive ourselves into believing we are further ahead than we really are in our current trial, we step into dangerous territory. We open ourselves to injury or to trickery on behalf of the Enemy. 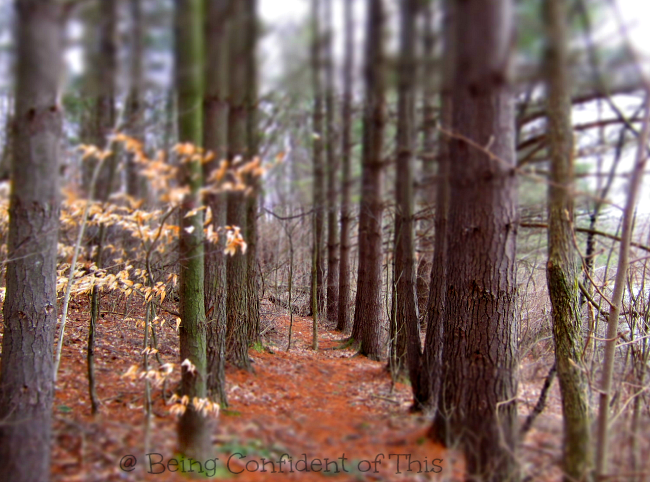 The best way for him to ensnare us is to convince us that the way ahead is clear, is it not? To keep us from crying out to our Father for rescue? The trick is not to be defeated by the pain, but to persevere in spite of it. Not to be deceived by sin nature nor the Enemy, but to humble ourselves before the Lord and allow Him to lift us up in the proper time. We must slow down enough to build the muscle, but not enough to the point of quitting altogether. We may not get “there” as quickly as we’d like to. We may take two steps forward and one back, but we will reach our destination eventually as long as we stay focused on the Sustainer of Life! My sisters in Christ, let’s be content with the pace the Father sets for us. Let’s not rush ahead of the lesson. Let’s not grow weary in doing good nor grow discouraged by setbacks. Instead, let’s persevere in this journey.